Back in January, we wrote about the St. Louis Rams moving to Los Angeles, ahead of the San Diego Chargers and the Oakland Raiders. In case you do not remember, when this decision was made at the meeting of NFL owners, Chargers owner Dean Spanos was told that he and his team can choose whether to remain in San Diego or to be the second team to relocate to LA and share the new stadium (that still has to be built) with the Rams. Since the decision, Spanos has been doing a dance worthy of true politicians, which is what NFL owners are, we suppose. He has not yet made any statement that could even be misinterpreted as some kind of commitment, but on Tuesday morning, he was somewhat more forthcoming with the press than usually. During a short conversation at the Chargers Park, he sort of told the press that he would like the Chargers to stay in San Diego. Of course, it was nothing straightforward or binding. One thing that he was really clear about was that he would prefer it if the Chargers and the city of San Diego could move on from the past and start concentrating on the future. This is probably a good idea considering some of the things both sides said to each other over the last year and a half or so. 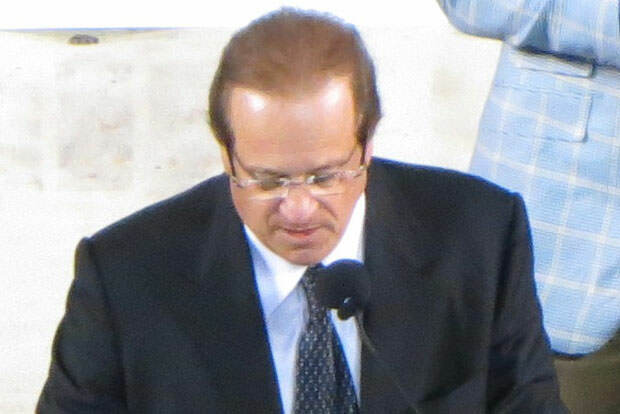 He has also introduced Fred Maas as the new “point man” for the San Diego stadium project, as a man who understands business and who will contribute to developing much closer ties with San Diego’s business community, which Spanos sees as vital to the building of new stadium, whether it is in Mission Valley or downtown. Spanos was also quick to point out the importance of politicians and voters getting involved, especially since the Chargers would be looking for quite a handout of public money to stay in the city, on top of the $100 million that the NFL would give them if they chose to stay put. All this taken into consideration, we should definitely not discard the eventuality in which the Chargers move to Los Angeles to share the stadium with the Rams. LA is a ginormous market and it would make plenty of financial sense for Spanos to move the team. He has until January 2017 to decide, so we can only wait.